Summary: Shame on those who would dare to tell God what to do! Yet that’s what we do when we attempt to earn salvation by living according to our own ideas of holiness. 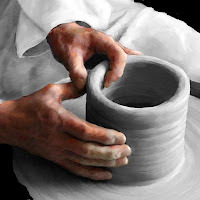 We become the pots telling the potter what we should look like and how we should be used. We become the Scribes and Pharisees inventing holy acts that we can accomplish in order to avoid the absolutes of divine Law. 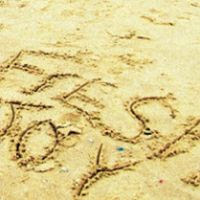 And even when we think we’re doing fairly well, we find no true joy in our law-keeping. Through Isaiah, the Lord promises “fresh joy” — not the satisfaction of a job (our own job) well done but the true and lasting joy of knowing that Jesus satisfied the Laws demands perfectly on our behalf. We have this joy when we believe in His atoning sacrifice, when we trust in the promises God made in our baptisms, when we cling to the forgiveness of the Absolution, and when we eat and drink Jesus’ body and blood knowing that by it we are kept holy and perfect in the Father’s eyes. Is it not yet a very little while until Lebanon shall be turned into a fruitful field, and the fruitful field shall be regarded as a forest? In that day the deaf shall hear the words of a book, and out of their gloom and darkness the eyes of the blind shall see. Audio: Click to hear the MP3 of Fresh Joy, preached to the saints of God at Trinity Lutheran Church, Kearney, Missouri.